Sorry, I don’t think I have a bigger font available. Well, jokes apart – like every year, this year too we have a bunch of offers and discounts lined up for our students. 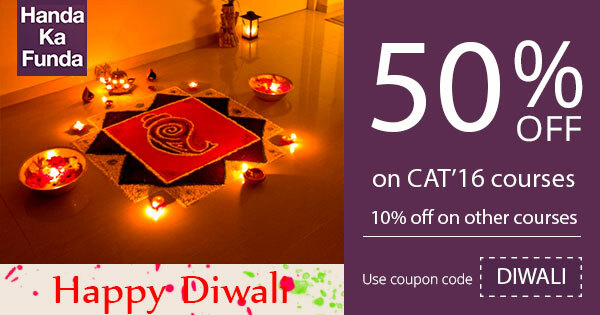 You can get 50% off on all our CAT 2016 courses and 10% off on all other courses. All you need to do is to use the coupon code DIWALI while registering. This coupon code is valid on all courses on the Handa Ka Funda website. This is also valid on all test series and combo offers. You can directly jump to the required pages from the buttons given below. You can use coupon code DIWALI on those courses.